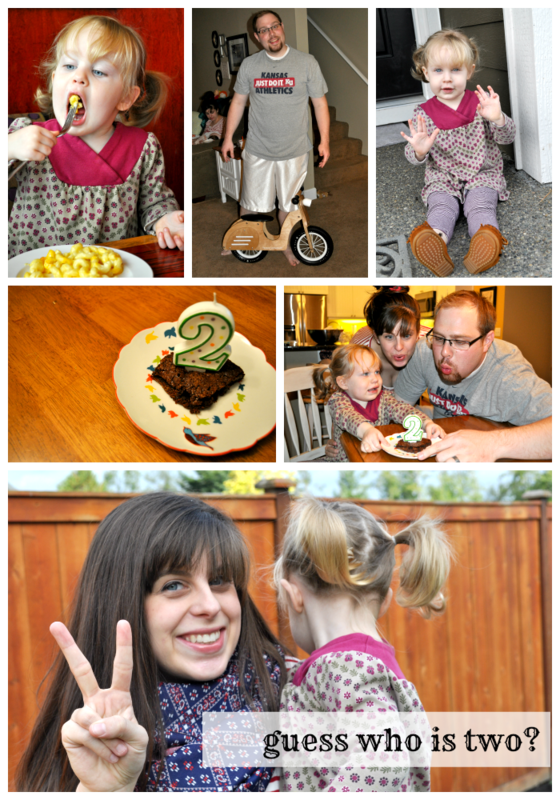 I would say shame on me for taking so long to share about Jemma’s actual birthday … but no, these outtakes from her two year old pictures explain it all. As I’m sure you can imagine, life is wild and busy with this little firecracker by my side. She’s an absolute gem Jem! After breakfast on her birthday, Jemma learned to answer the question, “How old are you?” She responds with a boisterous “deux!! !” while trying her hardest to show me two fingers. Yes, my girl is prone to French, I guess. We spent Jemma’s birthday at a doctor appointment for me (boo!) followed by a yummy mac ‘n cheese lunch. Then we toured Party City and I let Jemma pick out some special plates for her birthday dinner. She decided on Sesame Street, but only because Party City doesn’t carry Caillou paraphernalia. After a good nap, Daddy arrived home and we ate mac ‘n cheese (again), corn on the cob, and birthday brownies. My sweet girl opened a few presents and then snuggled into bed – a much older and wiser little girl, for sure. Since turning two, Jemma has morphed into a full-fledged toddler. Or is she considered a preschooler now? Say it isn’t so! She talks up a storm, knows exactly what she wants when she wants it, and is the BEST big sister a little guy could ask for. Jemma is also the spitting image of mama at this age … I need to dig up some pictures to show off our likeness. She’s Daddy’s little girl through and through and makes our hearts swell on the daily. Thus far, being two has been a roller coaster for us all. There are tears (we are out of bananas) and shrieks of joy (we’re going outside!) on many, so many, occasions. Some days I don’t know how I’ll keep up with the excitement of it all. Two is just so … so up in the air. I’m loving this journey of two-ness, but boy, it whoops my trash some days too. This next year will be a real treat and I can’t wait to see all Jemma grows and becomes in the next 12 months. Just this week I did an unofficial weigh/measure to commemorate Jemma turning two. After her traumatic ER visit last winter she has been super weary of all doctor’s offices. To postpone an impending meltdown, I decided to stretch out her 2 year well check by a few months. When Jem was 20 months we moved and got established with a new doctor so I don’t feel bad not following the schedule since she has been seen recently. Our weigh/measure party unveiled Miss Jemma’s stats at 31.5 pounds and 36.5 inches tall – she’s a growing girl! You’re my favorite two year old, Jemma! Mama loves you!!! She's so cute! 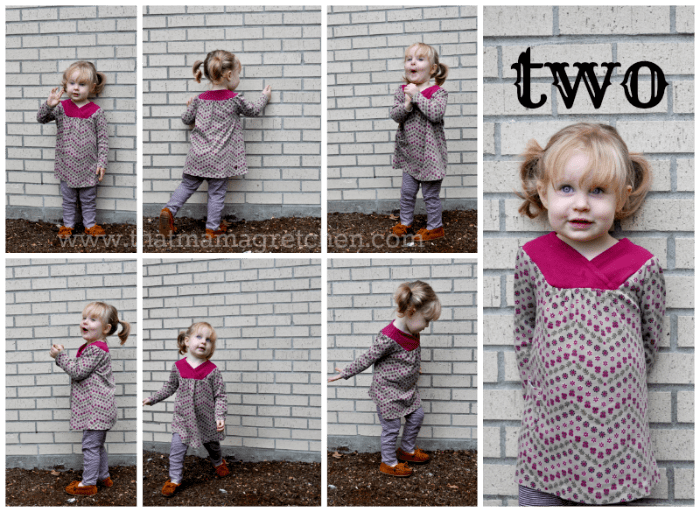 Love her tunic.